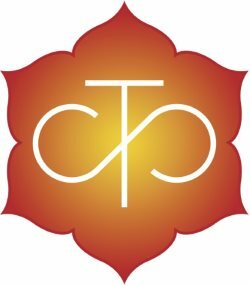 A contemplative retreat combining yoga of breath and lojung teachings, wind energy training, and sitting practice. 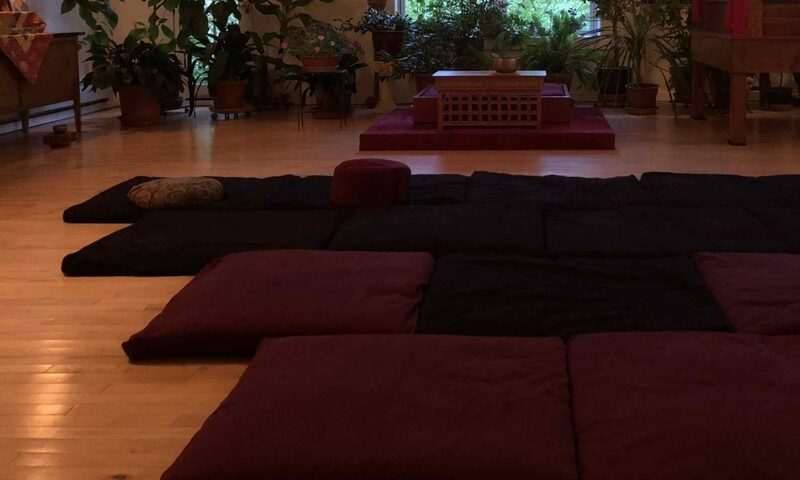 Be with what many have come to experience in the presence, practice and teachings of Anyen Rinpoche, during this 4 day Vermont retreat, May 1 – 4. Seeds of Dharma germinate, grow, and flower in the light and example of this authentic teacher! Anyen Rinpoche will be accompanied by his long time translator, co-author, and wife Allison Choying Zangmo. Collaborations include The Tibetan Yoga of Breath and Dying with Confidence. Rinpoche hopes that many students will gather to practice with him. This retreat is his only Eastern US teaching this spring, and perhaps for the year. Retreat Schedule: Begin 7pm Friday May 1. Saturday & Sunday 9:30- 4:30 Monday May 4th 9:30 – 1:00pm. Rinpoche will teach 2 hour sessions each morning and each afternoon., with a two lunch period. Additional wind energy and meditation practice sessions will occur Friday, Saturday and Sunday afternoons. Private audiences with Rinpoche will be arranged upon request. Meals are not included. Tea and some snacks will be provided during breaks. Lunch opportunities nearby are many. We will facilitate lunch orders that can be delivered to the center if desired, providing menus from the food coop and local deli/sandwich shops. A nice restaurant is directly across the street. Quality coffee and sandwiches are within easy walking distance. Rinpoche enjoys a communal meal at least once during each retreat. He will join us for whatever Sunday Lunch becomes. Plans are still developing. We expect this retreat to fill quickly. Attendance will be limited to 25 people. 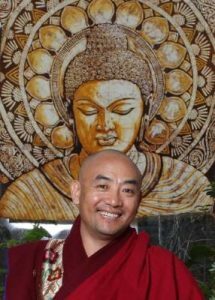 Pre-registration and pre-pay are required for Anyen Rinpoche’s teachings. Total cost is $250, of which $200 goes directly to support Rinpoche and his Dharma activities. Tuition Payments are not refundable, but may be transferred to another individual or applied to a future retreat. To declare your interest in attending the retreat, please contact us. Attendees/registrants will receive email updates regarding the final program schedule and other logistical information. To guarantee your place on a cushion or chair, please pay with PayPal or send a check. Contact us for details. 1) Baker Road Inn B&B There is room for thirteen in this B and B. Breakfast provided. Wifi included. Options (1) and (2) are located 10 minutes west of the center, on a back road. The Holiday Inn is located 3.5 miles to the east of the center, just off I 91, Exit 7. * Please contact us if you would like assistance with possible lodging with a Sangha member.